How to Give a Cranial Sacral Massage. 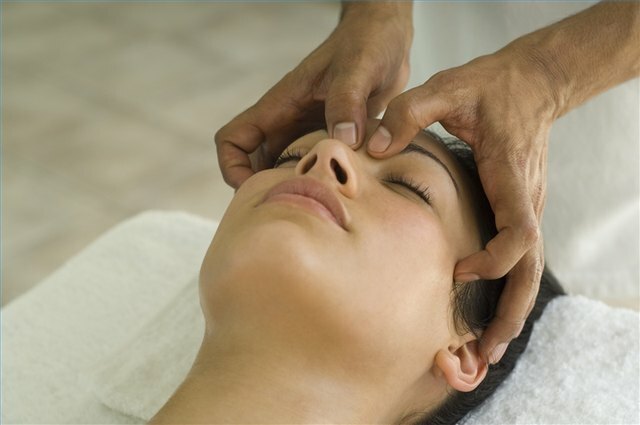 Cranial sacral release therapy is a very gentle and non-invasive form of massage that works with the cranial bones, the spinal column and the sacrum to balance energy as well as the flow of cranial sacral fluid. Often used to treat headaches, restlessness, insomnia, sinus pressure and ear aches, cranial sacral therapy is so gentle it can even be used on infants and the elderly. Pay special attention to the sutures of the cranial bones during cranial sacral massage. You can apply gentle pressure to pressure points along the scalp where multiple sutures meet, or work in long, gentle sweeping motions along the sutures themselves. Often just the act of touching these areas can help to release pressure, and in turn relieve pain or discomfort caused by an imbalance of cranial sacral fluid flow. Work areas where pressure tends to build, for example along the base of the cranium. At this point where the neck bones meet the skull, tense muscles and stress can impede the flow of cranial sacral fluid, so it should be addressed during your massage session. The TMJ, or the temporal mandibular joint, should also be addressed. This is the point where the jaw bone meets the skull near the ear. Pull and massage the ears during cranial sacral massage to stimulate fluids and release pressure. While it may seem awkward at first for your client, gentle ear massage can relieve a multitude of ailments, from Parkinson's to migraine headaches. Use gentle rocking motion along the entire length of the cranial sacral system, from the sacrum to the skull. Gentle rocking motion stimulates the fluid between the bones of the spine, helping to relieve pressure and discomfort.